Create and send invoices straight from your phone or tablet as and when you finish a job. 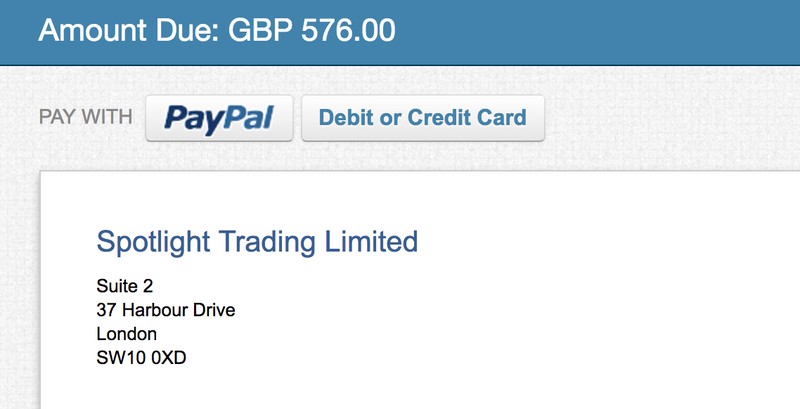 Your clients can view your invoices online and make immediate payment via PayPal or any Debit/Credit Card. Use one of our professionally crafted invoice templates or create your own unique style and brand from scratch. Still prefer the traditional way of sending invoices? No problem! Instantly generate and print PDF documents for individual or multiple invoices with a single click. Keep track of the status of all your outstanding invoices on one dashboard - never let an unpaid invoice drop out of your sight again! Do you invoice the same customer on a monthly, quarterly or annual basis? 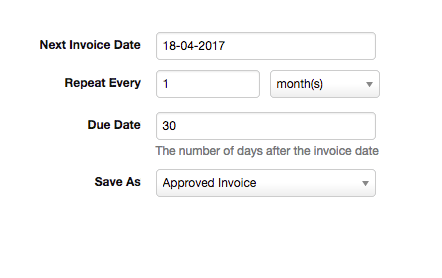 Create a recurring invoice and our system will automatically generate and send the invoice for you on the right date. Use the invoice import tool to upload and generate multiple invoices directly from a CSV file. Our solution includes an easy to use template which can be opened in any spreadsheet software and used to generate the import file.